God is to be found in the simplest of our daily activities, through the surrender His. 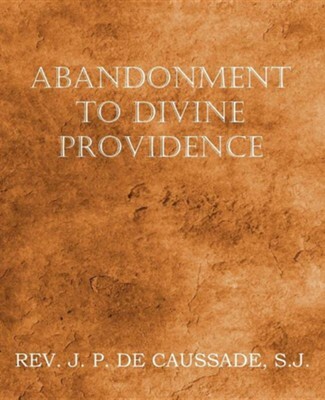 This is the message of Jean-Pierre de Caussade in Abandonment to Divine Providence. To "live in the present moment," accepting everyday obstacles with faith, humility and love, has guided generations to holiness and spiritual peace. Fr. Jean Pierre de Caussade was a French Jesuit priest and author best known for his treatise Abandonment to Divine Providence, and his letters to the Visitation nuns. de Caussade served as the rector of two colleges, and as spiritual director for a Jesuit house. He was deeply influenced by the writings of both St. Francis de Sales and St. John of the Cross. I'm the author/artist and I want to review Abandonment to Divine Providence.